"If you want to work for world peace, go home and love your families." Few of us are prepared for the emotional shock wave of falling in love with our first tiny offspring. As a new parent, you hold your new child’s life in your hands, and through that sacred trust open yourself up to a new depth of compassion for another person. When the time comes to provide guidance or limits for this incredibly important being, you may find yourself rethinking old concepts of what discipline and parenting are all about. 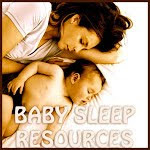 Your baby may have taught you that when it comes to nourishment, sleep, and being held, you can trust her cues and your own inner voice above the many public voices telling you what you “should” be doing. It is empowering to discover that you are the most reliable expert on your own child. Indeed, that you and your child can be a team in finding the answers. Detours: What threatens to send us off the path? Survival Skills: What key things help parents stay on the path? To stick with gentle discipline, most parents need to re-orient ourselves. Anyone who has practiced attachment parenting with her baby is familiar with the process of re-orienting yourself for the task. Our mainstream culture inundates us with so many messages about baby care that undermine our instincts and our desires to respond compassionately to our baby’s needs. To succeed at breastfeeding, for instance, we need to learn that having a baby who sleeps through the night is not a measure of our success. To feel successful with gentle discipline, we also need to re-orient ourselves, only the ways are more subtle. And, although there are resources out there to help us with our new way of thinking, we may not know that we need help, instead assuming that gentle discipline is just not for us. The good news is that gentle discipline is a great option for all families. It is never too late to start! And it is always possible to reinvigorate your practice of it after a hiatus. 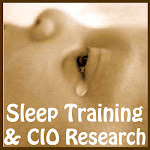 Gentle discipline is ready to take care of you and your family from babyhood through the teen years! Here are six detours to look out for, and survival skills for keeping your commitment. Many of us secretly imagine that somewhere out there is a mother who is always patient and always comes up with a creative delightful solution to problems. 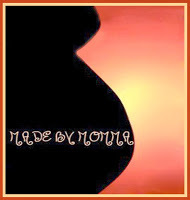 Maybe we imagine our mama-friend is this Super Mama. In truth she doesn’t exist. How hurtful, then, that we compare ourselves to her, and feel like failures when we don’t measure up. This is no surprise. We live in an all-or-nothing culture. You’re either doing something or you’re not. Fortunately for us mortals, gentle discipline is not a club you can qualify for - or be disqualified from. Gentle discipline is an intensely personal commitment. And it’s not all-or-nothing. I propose that you are successful at gentle discipline if you are prepared to give as much empathy and respect as you can, and to come back to empathy and respect if you get off track. It’s a question of what are your most cherished parenting values, not a list of things to do or a standard to meet. It helps to have a realistic view of both parents and children. Gentle discipline is not going to eliminate conflicts, struggles, times of confusion. Parenting can be hard at times. People are complicated. Relationships are complex. So to be sustainable your idea of gentle discipline has to make room for all of that human richness. If you can define your commitment to gentle discipline in a way that has room for you in it, you can retain your connection to that commitment despite the bumps. “It is a continuum, and children can benefit from each and every movement toward the gentler, more compassionate side, and away from the punitive, confrontational side. Frankly, I still don't know enough to make the best gentle discipline choices all of the time. As my daughter grows, new challenges constantly present themselves, and my parenting strategies have to adjust. So gentle discipline doesn't seem to me to be a bar that I rise above, but simply a philosophy I embrace.” Rebecca K.
Well-being. Stay on top of your child’s physical and emotional needs. For instance, pack healthy snacks and water for every outing and help him take snack breaks as needed. Triggers. What situations set your child off: is it travel, lots of errands, family stress, a hot car? How can you work with, minimize, or avoid these harbingers of difficult behavior? Clear expectations. If your child is clear about what you expect of her, she is a lot more likely to be able to fulfill it than if the rules change day by day. Structural solutions. How can you arrange your child’s environment to help him stay within the boundaries? Child-proof your house as much as you can, and don’t leave folded laundry out if your child might jump on it! The root of the problem. If you can identify the need or the feeling that is creating the difficult behaviors, you can address it directly. Alternatives. How can your child meet the same need in more positive ways? Help him cultivate the new skills. Chasing after problematic behaviors all day is enough to discourage us from any discipline approach. 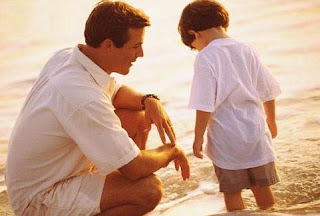 The more you set your child up for success, the more you will find gentle discipline working for you. “Occasionally I realize that I have been really busy doing 'grown up stuff' for too long and I need to just stop for a little while and focus all my attention on my children. When I can truly involve myself in whatever they want to do for 30 minutes or so, it’s often as if a big switch has been thrown that corrects the negative behavior.” Carissa D.
Expecting immediate results is not very practical when children are involved, and it’s a great way to get discouraged fast. 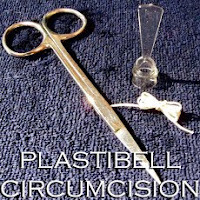 In our society children are expected to share, control their impulses, and follow instructions, practically from birth. If they don’t, the perception is that there’s something wrong with the child, the parent, or the discipline method. The truth is, children are supposed to be childish, make lots of mistakes, struggle with impulse control until they master it, and so on. They’re not supposed to be little adults. Find out what is age appropriate, by talking to other parents and reading books. If your child is doing things that are age appropriate but problematic, find active ways to support him in growing into better options. Expect plenty of mistakes, be there to prevent harm to himself or others, and help him develop new skills. Keep your perspective: When a troubling behavior shows up again, say to yourself, “Looks like he’s still working on that.” Gentle discipline is process focused. In other words, how we discipline our children is more important than what kind of behavioral results we get on the short term. The way we treat our children tells them how to treat others, how to resolve conflicts, and how to problem-solve. In discipline the medium is the message. The effectiveness of gentle discipline can be measured more aptly by the quality of the relationship between the parent and child, than by how rapidly a behavior has been made to disappear. The developmental process of childhood does not lend itself to immediate results. It’s worth the wait. Supporting our children with empathy and respect helps them blossom into strong, resourceful children. “When he was 18 months old, Gabriel went through a biting/hitting stage. He was hurting me and other children at playgroups. We avoided playgroups for a few months until Gabriel was old enough to understand that it hurts when we bite or hit. When we did resume seeing other children, I stayed right behind him the whole time, even when he climbed all over the jungle gym. If he went toward another child, I could prevent him from hurting them. I reminded him over and over for months that biting and hitting hurt, and he grew out of it. It was a really hard time for me and I got emotionally and physically exhausted, but it was so rewarding to see him stop and now he is so gentle and loving to other kids.” Beth C.
Adapt idea to work for you. 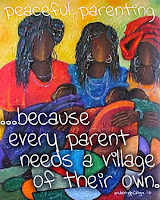 Other parents are your best resource: talk with the other innovators! Many of the things that save us as parents fall through the cracks of most parenting advice. “When we start to notice her getting to the frustration stage, we act out the following: Raise your hands in the air. Touch your toes. Raise your hands up high again. Tickle your armpits (this almost always gets her giggling). Take some deeeeeeeep breaths. I am telling you, as simple as this sounds, it has worked amazingly well.” Jeanette L.
Well-being: We need to see to our own emotional and physical needs so that we have what it takes to face the day. Self-care is a parenting issue we can’t afford to neglect. Anger: All humans get angry. We need to cultivate appropriate ways to deal with it. Few of us have been taught how to get our anger out without attacking or withdrawing. How can you express your anger honestly and respectfully? Triggers: It helps to notice that your triggers are about you, not your child. What situations set you off? Some parents find it’s time pressure, challenging behavior in public, seeing your child do something you were punished or shamed for as a child, or being told “no.” How can you avoid or work with your triggers in positive ways? Negative messages: We need to identify societal messages that interfere with our gentle discipline. “If a child doesn’t do what you say he’s being defiant.” “Control your child or he’ll control you.” “Nip it in the bud!” What messages set you up for a power struggle with your child? Mistakes: We all make them because we’re all learning. In order to stick with gentle discipline you will need to find a way to see mistakes as learning opportunities, forgive yourself, and move on. 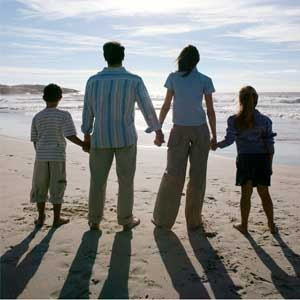 All parents have good days and bad days, strengths and weaknesses. Lucky children have parents who care enough about them to be willing to grow and change as parents. When we’re faced with our own weaknesses, limitations, or mistakes, it’s a crossroads. We could give up, saying that gentle discipline is not practical or that we do not have what it takes. Or we could give ourselves “gentle discipline” for our own growth, according ourselves the respect and empathy we seek to give to our children as they grow. “I still have room to grow. I get distracted by daily life, and lose the pattern, and have to start over. I end up yelling because I forgot to establish a pattern or rule. Or I let something slide a few times because I am busy or tired, without explaining that the situation was different in some way. I take forever to gain new habits, and take a long time to prune out old ones. It is like weeding a garden. Each year there are going to be weeds. But the longer you tend the same garden, the more you know where the weeds are likely to pop up, and the sooner you'll know to look for them so they can be uprooted.” Heather P.
Do you know other parents in your community who practice discipline? Do you know some who might be attracted to the idea if you talked about it more with them? 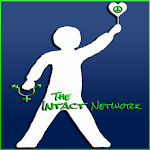 If you are looking to expand your support network, see if there are local gatherings for natural parenting playgroups, MeetUp.com groups, LLLI meetings, breastfeeding association meetings, attachment parenting groups, etc. And if you have a home computer or access through a local library, the online support available is incredible. 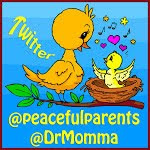 Natural Parenting Magazine Forum, Mothering.com, and Peaceful Parenting are great places to begin. There are many ways we can support each other in gentle discipline. Let your friends see that you are not perfect! It’s discouraging to think that we are the only ones who get confused, make mistakes, have weaknesses and limitations. Share with your friends a vision of gentle discipline that is flexible and realistic. When you are grappling with a difficult behavior or problem, brainstorm with your friends how to set your child up for success, and how to react in helpful ways. Tell your friends what inspires you about their parenting, what you see as their strengths as compassionate parents, and what you have learned from them. Ask them what positive things they see about your parenting. Boosts like this are of tremendous importance, and we too rarely give them or request them. Help each other see the humor in it all. Other parents can help us hang in there with our children while they’re growing up. Gentle discipline: You Can Do It! Let gentle discipline guide your family from infancy through the teen years. “As my oldest son is now a teenager, I'm finding that my discipline is paying off. He often comes to negotiate with me about his work, his sleep schedule, his volunteer activities, and time with friends. We spend time talking about why I made my request, why he wants a change, and brainstorming for many possible alternatives. We usually come to an agreement that is different from my initial plan but that works just as well to meet our family’s needs. My son and I have a peaceful relationship and enjoy talking and doing things together.” Adria C.
Gentle discipline bears magnificent gifts for children, parents, and the world. Your child benefits because gentle discipline is a way of honoring his unique spirit. Gentle discipline opens your own heart to a whole new level of compassion for another human being. And gentle discipline spreads empathy and respect from your family outwards. What a great way to change the world. 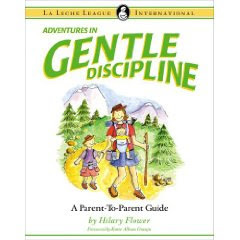 Flower's book, Adventures in Gentle Discipline, found here on Amazon. Excellent post! I also think it needs to be said over and over again: make sure the parents have their needs met as well! I find myself at my weakest point when I am sick, tired or stressed. Behavior that would have received a smile or laugh from me gets a sigh or even a sharp remark. Something I've noticed is that even if parents are willing to re-orient their ideas of child behavior (such as your example of what sleeping through the night means) they forget to re-orient parental behavior. If your child is NORMAL and doesn't sleep through the night, then don't wake up at 6am yourself! (Unless you absolutely have to, at which point you need to look for a way to put a nap into the day). Excellent, excellent post! Still room to learn and grow although we have been on this path for coming up 12 years! Excellent, excellent post. We still have room to learn and grow even though we have been on this path for almost 12 years! We started out as punitive ... then did the huge paradigm shift to gentle parenting while pregnant with #3. I needed to read this today...yesterday was one of the worst parenting days in the history of EVER!!! Any suggestions for gently disciplining stubborn children when you have ADHD??? We all get frustrated so EASILY!! !